Swifts are the most aerial of birds and some, like the Common Swift, even sleep and mate on the wing. Larger species, such as White-throated Needletail, are amongst the fastest flyers in the animal kingdom. One group, the Swiftlets or Cave Swiftlets have developed a form of echolocation for navigating through dark cave systems where they roost. One species, Aerodramus papuensis has recently been discovered to use this navigation at night outside its cave roost also. Swifts have a worldwide distribution in tropical and temperate areas, but like swallows and martins, the swifts of temperate regions are strongly migratory and winter in the tropics. Some species can survive short periods of cold weather by entering torpor, a state similar to hibernation. Many swifts have a characteristic shape, with a short forked tail and very long swept-back wings that resemble a crescent or a boomerang. The flight of some species is characterised by a distinctive "flicking" action quite different from swallows. Swifts range in size from the Pygmy Swiftlet (Collocalia troglodytes), which weighs 5.4 g and measures 9 cm (3.7 inches) long, to the Purple Needletail (Hirundapus celebensis), which weighs 184 g (6.5 oz) and measures 25 cm (10 inches) long. he swallows and martins have an evolutionary conservative body shape which is similar across the family but is unlike that of other passerines.Swallows have adapted to hunting insects on the wing by developing a slender streamlined body, and long pointed wings, which allow great manoeuvrability and endurance, as well as frequent periods of gliding. Their body shape allows for very efficient flight, which costs 50-75% less for swallows than equivalent passerines of the same size. Swallows usually forage at around 30-40 km/h, although they are capable of reaching speeds of between 50-65 km/h when travelling. Like the unrelated swifts and nightjars, which hunt in a similar way, they have short bills, but strong jaws and a wide gape. Their body length ranges from about 10–24 cm (3.9–9.4 in) and their weight from about 10–60 g (0.4–2.1 oz). The wings are long, pointed, and have nine primary feathers. The tail has 12 feathers and may be deeply forked, somewhat indented, or square-ended. A long tail increases manoeuvrability, and may also function as a sexual adornment, since the tail is frequently longer in males. Female Barn Swallows will select mates on the basis of tail length. The legs are short, and their feet are adapted for perching rather than walking, as the front toes are partially joined at the base. Swallows are capable of walking and even running, but they do so with a shuffling, waddling gait. The leg muscles of the river martins (Pseudochelidon) are stronger and more robust than those of other swallows. The most common hirundine plumage is glossy dark blue or green above and plain or streaked underparts, often white or rufous. Species which burrow or live in dry or mountainous areas are often matte brown above (eg Sand Martin and Crag Martin). The sexes show limited sexual dimorphism or none, with longer outer tail feathers in the adult male probably being the commonest distinction where one exists. The swallows and martins have a worldwide cosmopolitan distribution, occurring on every continent except Antarctica. One species, the Pacific Swallow, occurs as a breeding bird on a number of oceanic islands in the Pacific Ocean, and a number of migratory species are common vagrants to other isolated islands and even to some sub-Antarctic islands. Many species have enormous worldwide ranges, particularly the Barn Swallow, which breeds over most of the northern hemisphere and winters over most of the southern hemisphere. The family uses a wide range of habitats. They are dependent of flying insects, and as these are common over waterways and lakes they will frequently feed over these, but they can be found in any open habitat including grasslands, open woodland, savanah, marshes, mangroves and scrubland, from sea level to high alpine areas. Many species inhabit human-altered landscapes including agricultural land and even urban areas. Land use changes have also caused some species to expand their range, most impressively the Welcome Swallow which began to colonise New Zealand in the 1920s, started breeding in the 1950s and is now a common landbird there. Species breeding in temperate regions migrate during the winter when they insect prey populations collapse. Species breeding in more tropical areas are often more sedentary, although several tropical species are partial migrants or make shorter migrations. In Antiquity it was thought that swallows hibernated in a state of torpor, even that they withdrew for the winter under water. Aristotle ascribed hibernation not only to swallows, but also to storks and kites. Hibernation of swallows was considered a possibility even by as acute an observer as Rev. Gilbert White, in his The Natural History and Antiquities of Selborne (1789, based on decades of observations). This idea may have been supported by the habit of some species to roost in some numbers in dovecotes, nests and other forms of shelter during harsh weather, even apparently entering torpor. 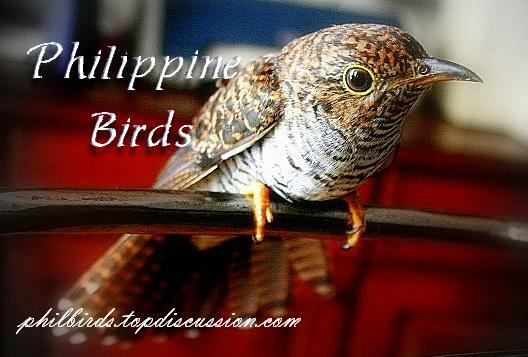 sounds really interesting..this is really informative and this will no doubt enhance our knwoledge regarding birds..i am happy that there is such information related to birds too.